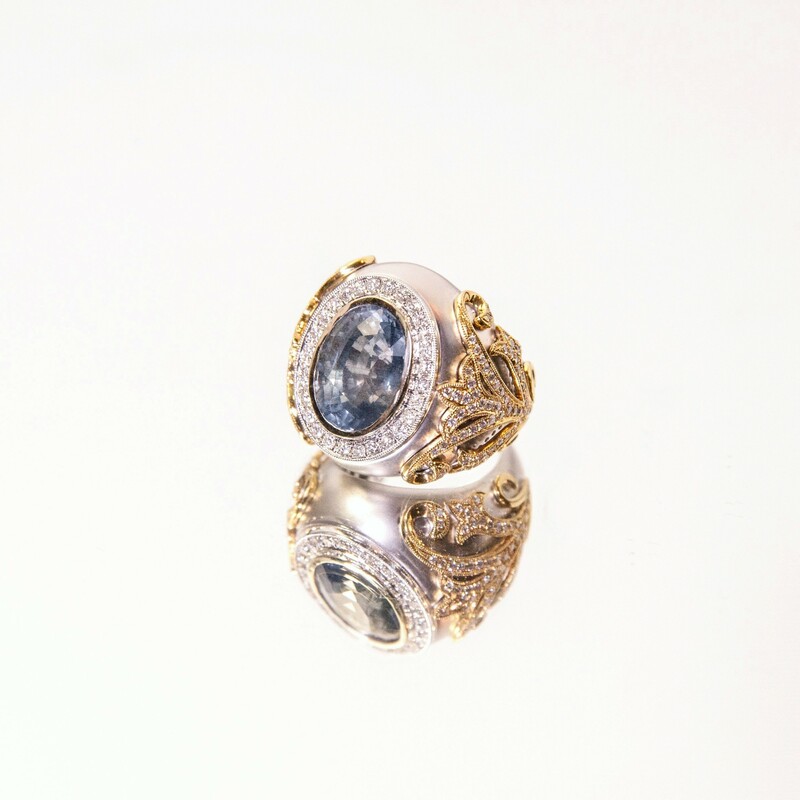 This fabulous ring features an 11.94 ct Unheated Color Change Sapphire with Blue to Violet color change. 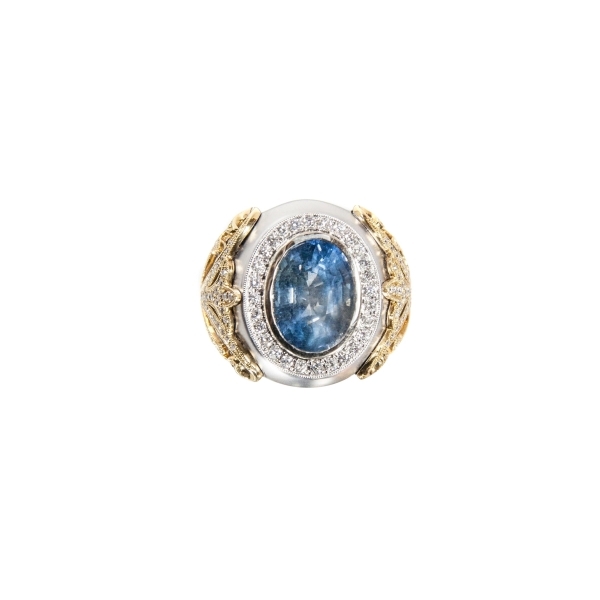 This beautiful gemstone is set in a very high quality mounting of 18 White Gold with Yellow Gold highlights and approx. 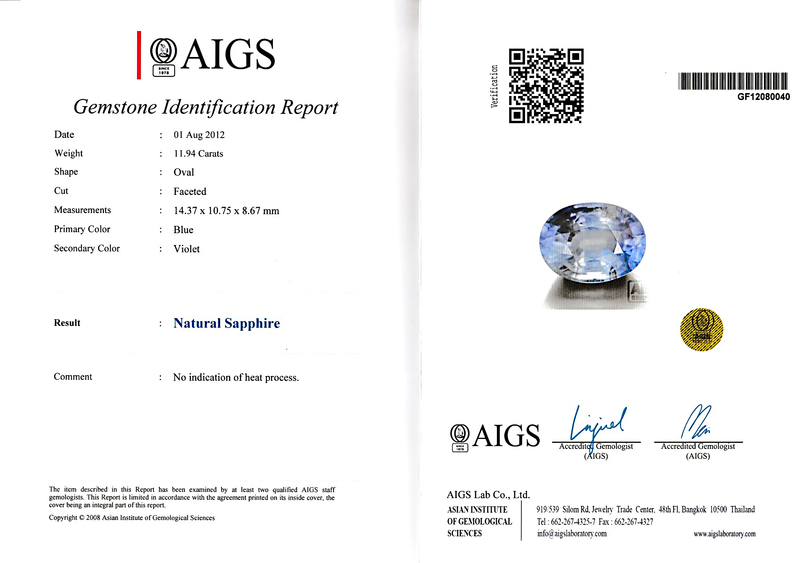 1.0 carats of natural diamonds, VS clarity, G color. 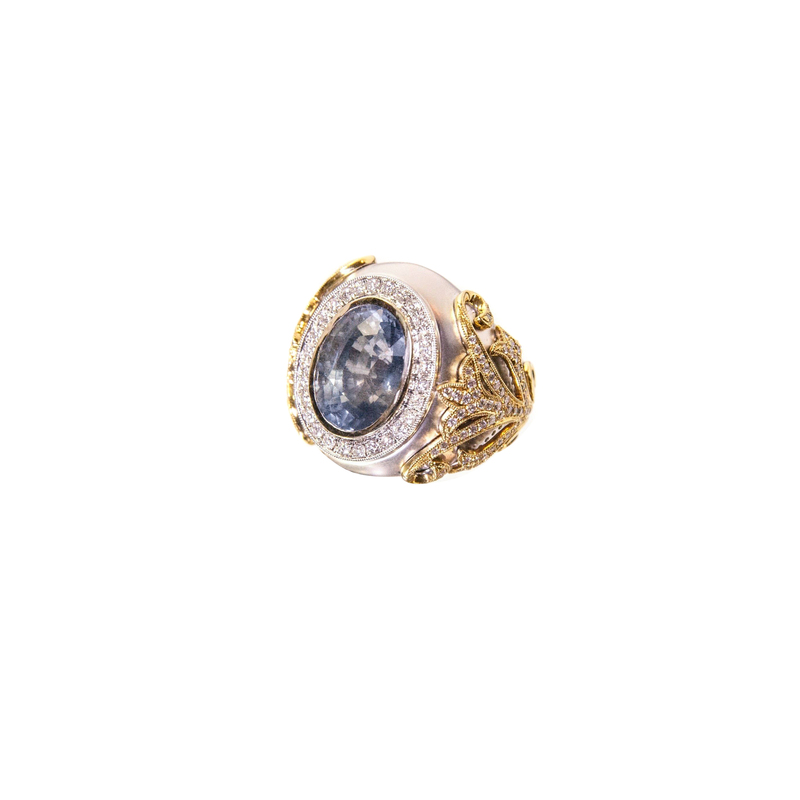 This spectacular ring comes with an AIGS certificate.